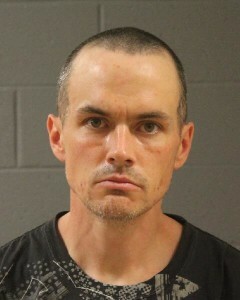 ST. GEORGE — Police arrested a St. George man Wednesday believed to be the suspect involved in the armed robbery of a St. George Pizza Hut last month along with a woman from Mesquite, Nevada, who was with him at the time of the arrest, on other charges. Timothy Cleveland Griffith, 33, was wanted by police on nine warrants issued for his arrest by the 5th District Court after he failed to appear in court on a variety of criminal charges he had racked up over the past several years including burglary, theft, criminal mischief and drug possession, among other charges. 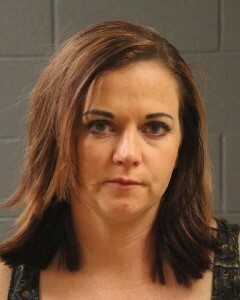 Griffith was located driving on the 200 North block of 200 East in St. George and was subsequently arrested during a traffic stop along with his passenger, 28-year-old Jeanetta Anne Gilbert, of Mesquite, Nevada, according to probable cause statements filed by the St. George Police Department in support of the arrests. During a search of Griffith’s vehicle, officers located evidence connecting Griffith to the Nov. 24 armed robbery of the Bluff Street Pizza Hut, according to the probable cause statement. Griffith was allegedly wearing a pair of tennis shoes matching a shoe print left at the scene of the armed robbery and was found to have a distinct tattoo similar to the one seen on the suspect in surveillance footage of the robbery, the report stated. A bank bag matching one taken during the robbery was also found in Griffith’s vehicle. Griffith allegedly stole more than $500 during the armed robbery. He approached a Pizza Hut employee who was in the process of closing up the restaurant after midnight, according to the report. 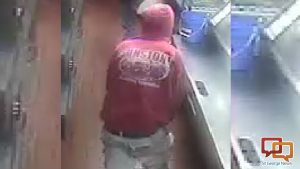 He then allegedly brandished a gun and ordered the employee to retrieve money from the restaurant. Investigators also located evidence in the vehicle connecting Griffith to a residential burglary that occurred Dec. 13 at a home on Lizzie Lane in St. George where the homeowners reported numerous items were taken, the statement said, including a stamp collection and suitcases. Those items were located in Griffith’s vehicle, the statement said. A substance that tested positive for heroin was located on Gilbert’s person, resulting in the couple being charged with child endangerment because their 15-month-old daughter was reportedly sitting in the back seat of the vehicle during the arrest. The child “had access to the drugs and paraphernalia,” according to the statement. In addition to the other slew of incriminating evidence, a stolen license plate was allegedly located inside the vehicle, the statement said. As well, “multiple government identifying documents” belonging to another person were allegedly found in Griffith’s wallet. Griffith and Gilbert were arrested and booked into the Washington County Purgatory Correctional Facility. Griffith was charged with first-degree felony aggravated robbery; two second-degree felonies for burglary of a dwelling and theft; six third-degree felonies for causing a child to be exposed to a controlled substance, possession of another’s identifying documents, criminal mischief, theft and theft by receiving stolen property; a class A misdemeanor for drug possession; and a class B misdemeanor for possession of drug paraphernalia. Gilbert was charged with a third-degree felony for causing a child to be exposed to a controlled substance; a class A misdemeanor for drug possession; and a class B misdemeanor for possession of drug paraphernalia. The two made their initial appearance in 5th District Court Thursday afternoon. Thank goodness they were caught. No more freedom for these lowlifes! May the baby receive good care from now on. “Griffith was located driving on the 200 North block of 200 East.” What? Right in front of the police department? Who are these criminals, and when did they move into our area? I encourage all similar people to leave Utah’s Dixie and take up residence in some bad neighborhood in a big city. Who Died and made you God ? in this country people have the right to live wherever they choose.. if you don’t like it.LEAVE ! Did the identify his calves? They found them. by finger prints on a partially eaten pizza ! Today’s judgement from sagemoon: Scum bag junkies. Jail for the man and treatment for them both.